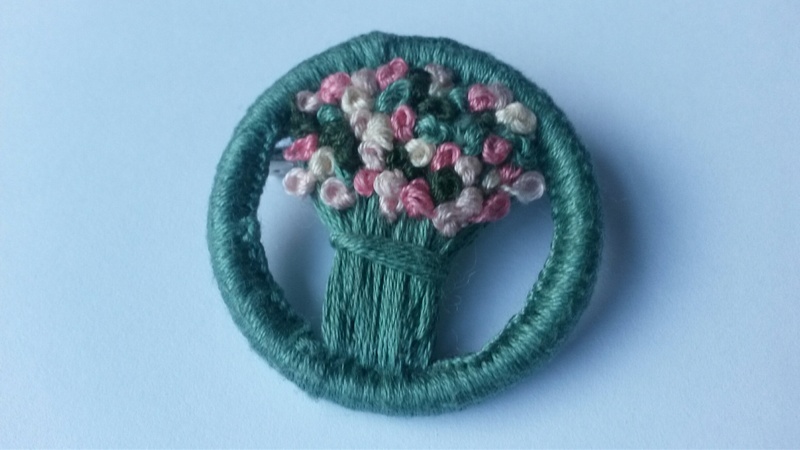 I am loving making these little brooches at the moment. 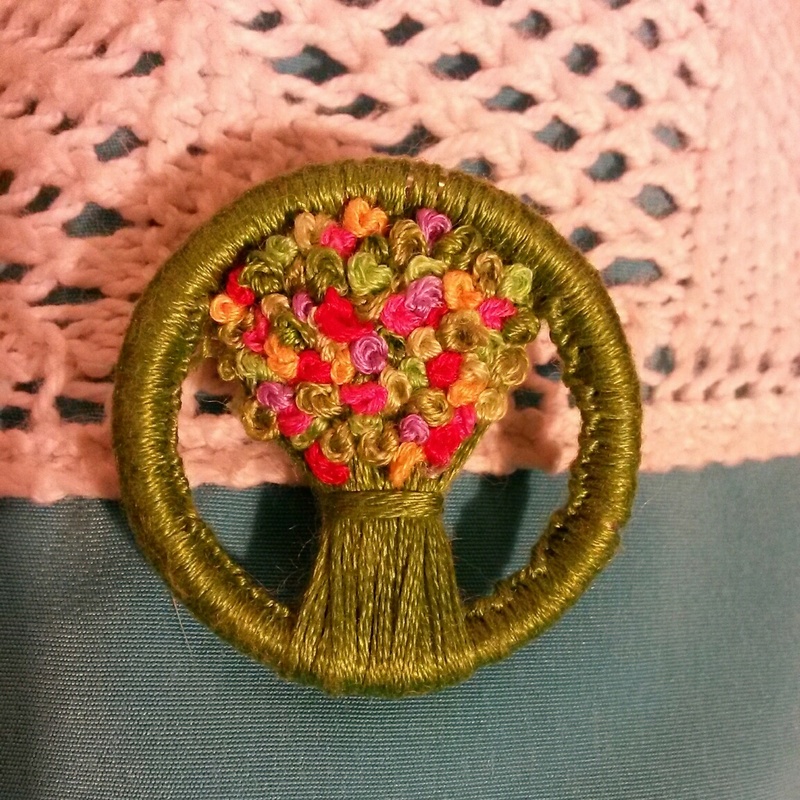 A carefully chosen selection of colours that lift my spirits, a little time sitting and gently sewing and a lot of french knots. My absolute favourite stitch in the whole wide world. Sitting by the fire, thinking, planning and stitching is a perfect way to fill a few quiet moments during these chilly January days. Hope you are snuggled up and cosy too.